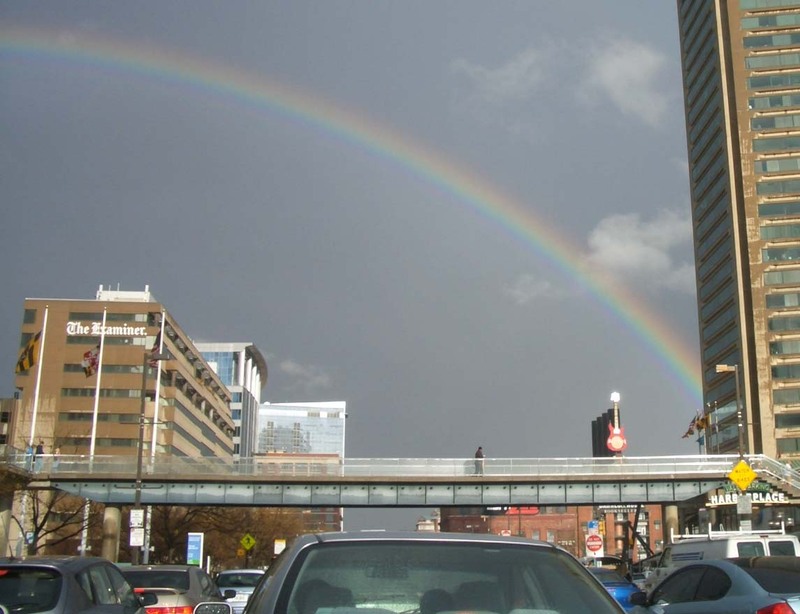 THE FUTURE OF NEWS A reader emailed this photo with the message: God bless The Baltimore Examiner! Some may have seen the future of news. I have done it. We launched a five-edition, 256,000-circulation free six-day newspaper three months after I started as the sole newsroom employee. Within 18 months we grew to more than 400,000 readers. We won journalism awards in national competition, and against the Washington Post, Baltimore Sun and Wilmington News Journal. We made this newspaper the major media power in the market and a force in the state. I supervised launch and then re-launch of our Web site after growing to 1.1 million page views a month in less than a year. We launched a 335,000-circulation Sunday, achieving readership of 643,000 in less than six months. This all required full involvement in every aspect of advertising, circulation and marketing. All at a cost of less than 10 percent of legacy newspapers with equivalent circulation. You can do it, too. Easy it is not. But what is? Take a look at what we did, complete with paper rustling sound when you turn pages, and embedded video and audio. Just click "View archive" in the upper left hand corner of our pdf archives. newspaper and Web site in one of the most "liberal" markets in America, the challenge was too intriguing to pass up, especially with a deadline only 90 days away and nothing in place. With the promise of a free hand in everything but national editorials, I set out to hire 30 professional journalists, recruit about 100 independent contractors and gain hundreds of thousands of loyal readers six days a week. More than 350 resumes and about 100 interviews later, we launched a five-edition home-delivered newspaper on time and under budget. We achieved 98 percent delivery accuracy and 93 percent readership. We found out citizens are hungry for exclusive hard local, regional and state news they can trust. 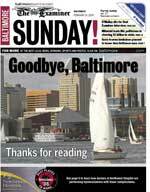 Businesses found out The Baltimore Examiner brought potential customers through their doors. Our initial Web site grew quickly to 1.1 million page views and more than 300,000 uniques a month, and was continuing to grow at a record rate. When the company rebranded it and took the name for another site, the new site grew to 167,000 uniques and almost half a million page views within three months. News and promotion partnership with a local television station pushed their ratings toward record growth. A new, half-hour morning local news show draws ratings and share of 25 and higher. The viewers are mainly married homeowners aged 25 to 54 with median household annual incomes of at least $80,000. Soon politicians, community leaders, executives, not-for-profit organizations and average citizens seek coverage. Response to public service information is overwhelming, effecting positive change at the local and state levels. 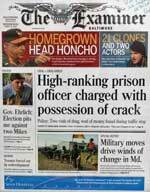 That is what The Baltimore Examiner became in print, on the Web and television. We proved it can be done. Cheap. If you want to reach and be read by prime local households for lower cost than junk mail, please take a look at my resume and references, read samples of my stuff. I can help you cut through the rising background noise and thrive in this Information Age.